As a 30-year veteran litigator, Mark H. Allison has demonstrated excellence not only in legal acumen, but also in character and integrity. He is known as the truest of advocates for his clients, helping them resolve their legal challenges effectively and efficiently so that they have as little impact on their businesses as possible. 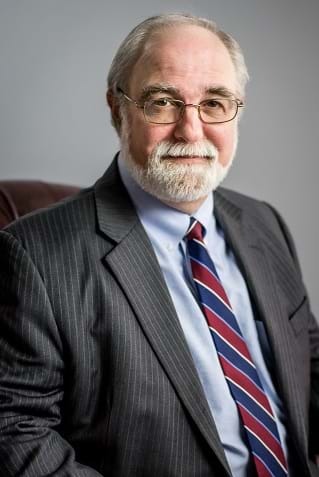 As an attorney recognized with Martindale-Hubbell’s highest rating (AV-Distinguished), Mark is highly regarded by clients and the legal community on the whole for his ethical standards, experience and proven record as one of the leading environmental lawyers in Arkansas. Companies large and small turn to Mark and his team when government regulations or procedures threaten to interfere with their business plans and growth. Throughout his more than 30 years in practice, Mark has represented clients in a range of environmental, energy and industrial matters, including Superfund litigation, environmental contract negotiation and litigation, and regulatory analyses. Whether taking on the EPA for Nucor, the nation’s largest steel producer, or defending insurance companies from false claims, Mark uses his in-depth knowledge and his ability to successfully represent his clients’ interests regardless of the venue—corporate boardroom, regulatory agency office or the U.S. Supreme Court. As a result of his career-long dedication to the practice, Mark is frequently asked to speak on environmental issues to local and national organizations. He also volunteers his time to a variety of professional and community organizations. Mark and his wife, Becky, have been married 34 years and have two sons, Jeff and Chris. He grew up in East Africa and graduated from the Rift Valley Academy in Kijabe, Kenya. JONES v. IKO (April 11, 2016), U. S. District Court, E.D. Arkansas, Pine Bluff Division. No. 5:14-cv-108-DPM-JTK. NUCOR STEEL-ARKANSAS v. UNITED STATES ENVIRONMENTAL PROTECTION AGENCY (December 21, 2015), U.S. District Court, E.D. Arkansas, Jonesboro Division. No. 3:15CV00333 JLH. SIERRA CLUB v. McCARTHY (August 24, 2015), U.S. District Court, E.D. Arkansas, Western Division. No. 4:14CV00643 JLH. NUCOR STEEL-ARKANSAS v. BIG RIVER STEEL, LLC (Signed February 25, 2015), U.S. District Court, E.D. Arkansas, Jonesboro Division. No. 3:14CV00193 JLH. NUCOR STEEL v. BIG RIVER STEEL, LLC (January 15, 2015), U.S. District Court, E.D. Arkansas, Jonesboro Division. No. 3:14CV00193 JLH. BELL v. BLUE CROSS AND BLUE SHIELD OF OKLAHOMA (November 3, 2014), U.S. District Court, W.D. Arkansas, Fayetteville Division. Case No. 5:14-CV-05046. FAKOURI v. PENN MUTUAL LIFE INSURANCE COMPANY (February 29, 2012), U.S. District Court, E.D. Arkansas, Western Division. No. 4:11-cv-00747-SWW. FAKOURI v. PENN MUTUAL LIFE INSURANCE COMPANY (January 23, 2012), U.S. District Court, E.D. Arkansas, Western Division. No. 4:11-cv-00747-SWW. HALL v. USABLE LIFE (March 28, 2011), U.S. District Court, E.D. Arkansas, Western Division. No. 4:08CV04214 SWW. NUCOR STEEL-ARKANSAS v. ARKANSAS POLLUTION CONTROL & ECOLOGY COMMISSION (December 9, 2015), Court of Appeals of Arkansas, Division IV. No. CV-14-699.